The second album by casual vocals. DIY grassroots pop meets motherhood. Shortly after making Milwaukee her home and quitting her job(s) to make a second album at the start of 2015, casual vocals’ Colleen Webb learned that she was also expecting her first child. What at first seemed like a potential roadblock, quickly revealed itself as a scenic highway - sure, the process for this album has been slower, but it has also been infinitely more beautiful and each turn has revealed new adventure in uncharted territory. Becoming a mother has somehow allowed Colleen's voice the space to mature with a stronger, yet more vulnerable honesty. 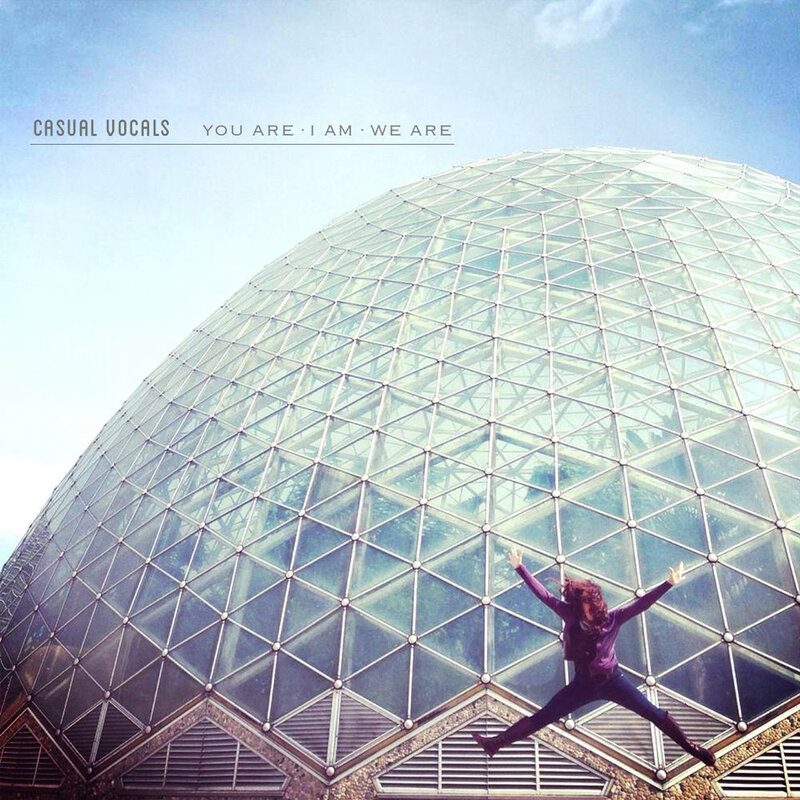 You Are I Am We Are (released June 10, 2016) was created in an ever expanding home attic studio with the help of several talented Milwaukee musicians and her husband tackling the mixing duties. This sophomore album is a more fully realized expression of casual vocals' grassroots pop sound that maintains its raw edge and a bit of sass. You Are I Am We Are - the album’s title track and first single - was released October 14, 2015 a few short days before her due date.